~of or pertaining to a maneuver or plan of action designed as an expedient toward gaining a desired end or temporary advantage. 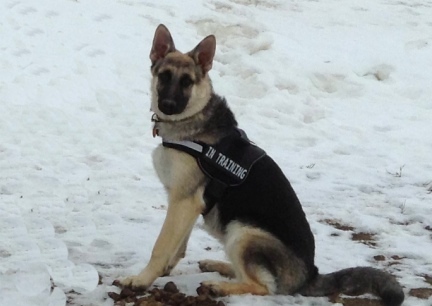 What does a Dog, or German Shepherd Dog (GSD or GSDs) have to do with Tactical? If you do not know the answer to this, Please, Reread the definition for Tactical. **A GSD makes a great Housedog and Guard Dog. Very few people, if any, will break into your home if they hear or see a GSD inside....they will just go to the next, quiet, they don't own a dog, home, to break in and do what they are planning to do.....be it rob, kill, kidnap, or all of the above. 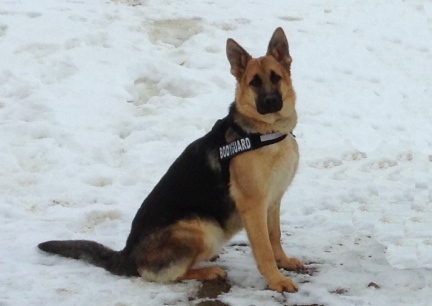 **You do not have to train your German Shepherd Dog to guard and protect your family and or property. Even the friendliest GSD will at least startle the intruders. But Most GSD! Will give them "a run for their money", right off your property. There are so many, many, many stories of GSD who have saved their families and property from harm and theft, you would have to do not more then to do an Internet Search to read several. GSD were just bred to look out for their own. **Police & MIlitarty use the Breed, GSD, for a Reason, easy to train and willing to work. Above all that bred in ability. **Teach your GSD Search and Rescue (S&R). There are many applications this will come in handy. In Switzerland, GSD have been used many years to find avalanche victims. **Your GSD is a good dog to take with you Shopping, provided the weather will allow it....I will not insult your intelligence by telling you not to leave an animal, child or crayons, in a vehicle on a hot day. You could leave your purse and purchases right on the front seat. With your GSD sitting there with them, no one is going to reach in and try to grab your stuff. **If you own a business, where a dog can go to work with you, or stay there alone when your business is closed to guard it overnight, a GSD might just save you a lot of inventory, not being stolen, or you might not have to go through the agony of being robbed at Gun Point. **If you are headed out to go camping and or backpacking, take your GSD with you for protection on the trail (and to carry part of the load). Your GSD will keep varmints even those two legged ones, just by it's presences. Your GSD will make a great outdoor companion as well as alert you in the dead of night if trouble is on it's way in to you. HOWEVER! do not take a female in heat where wolves and coyotes live. Her scent will call them in. Further. If you take an intact male with you, CHAIN HIM DOWN AT NIGHT! Wolves and Coyotes are both very smart and cunning animals. They will send in a female in heat to lure your male out to kill and eat him. It is not a good idea to let your dogs run free in camp anyway, too much can happen, like a raccoon bite or skunk spray. **Many GSD are used to hunt. Teaching your GSD to hunt can be as easy as teaching the traditional breeds to do so. Make your training fun, yes, GSD can surely swim and water fetch. **Many people teach their dogs Schutzhund and their dog's hold titiles in the sport. Schutzhund Titles are a requirement for breeding the German Shepherd Dog Breed in Germany. 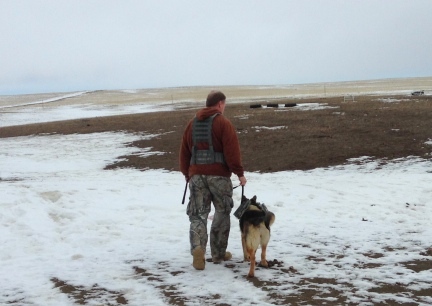 Teaching your dog Schutzhund is also a Tactical move. This would give your a first advantage in self protection should you ever need it. THIS IS NOT A TRAINING THAT AN OWNER SHOULD TEACH ON THEIR OWN. THIS IS NOT "SIC EM" TRAINING. 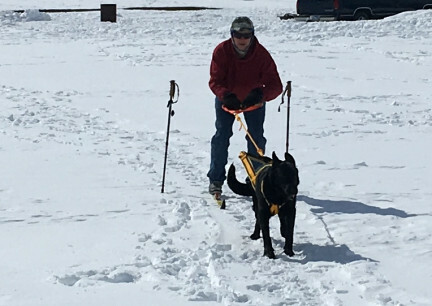 LOOK FOR A CERTIFIED TRAINER FOR YOU AND YOUR DOG BEFORE BEGINNING THIS TRAINING. You should also know, and this is a Tactical Plus, Schutzhund Training also includes Obedience and Tracking. Schutzhund is a German word it translates to Protection Dog. **Your GSD does not need to be Schutzhund trained, GSDs have that instinctive trait to protect their people and their territory and possessions. **If you live out and away from town with few to no neighbors around, a GSD might just serve as your personal Sheriff. People can stumble upon you/your property and think that you don't need the items you own or have out on your property. Or someone might decide to come and ride your horse while you are not home. I am amazed by what people think in today's world. **Don't forget, GSD were bred for Farm Work, especially Shepherding animals. **Disaster in your Home Town? If your town or city erupts as some do after a natural disaster, such as in LA after the hurricane (any excuse will do for some type of people), walking out with your GSD in Backpack you will be safer than walking out carrying your items others will want. Even just walking around without item other want or need. **If you are a Doomsday Prepper, there are many applications a GSD could fill. One idea id if you are "bugging out" you will be safer walking and able to carry more with your dog/s in backpacks. Having that first line or last line of defense of your home and or property. If you are going it alone, having a trail mate to watch your back. **Make a Travois and train your GSD to pull it. Your GSD can be trained to pull a person on it to safety....one of the jobs the GSD had in the World Wars. **Buy a Wheel Chair at a Second Hand Store and teach your GSD all about it. Teach your GSD to pull you while you sit in the chair, how to open doors for you...you never know how handy this might be one day. **Teach your GSD to pull in Harness. Not only for using to pull you or items if snowbound, but for a LOT of fun! 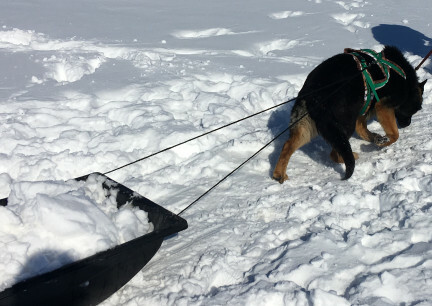 Dogs can also pull items on wheels. This can be a great help around a Farm or Ranch. This is a relativity new idea for a Dog Backpack and I love it! The idea is that this vest goes on the dog as a full Dog Backpack will. 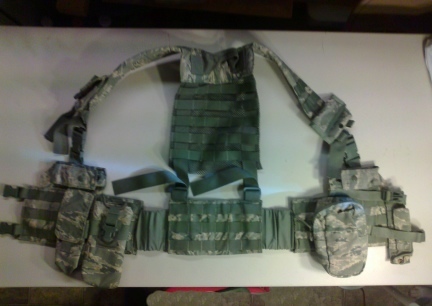 You add each pouch to the vest in a very secure lock down. 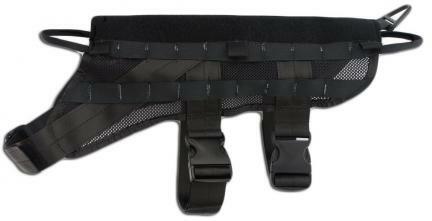 You choose your MOLLE attachment bags with the M.O.L.L.E. adaptability in the sizes and types and colors you want to add to this Dog Vest. 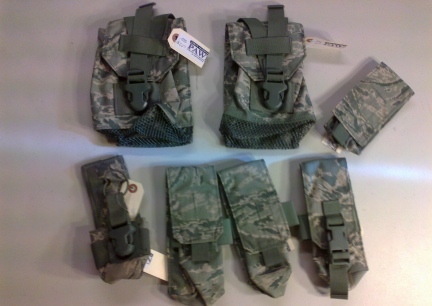 The pouches and holsters are interchangeable with your own M.O.L.L.E. Vest. 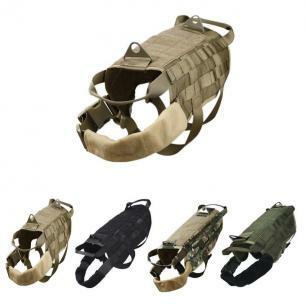 If you check around to MOLLE attachment suppliers, you can/will find everything to hook onto this harness vest from water bottle holders, small and larger pouches, first aid kits, to holsters for pistols and magazine pouches. 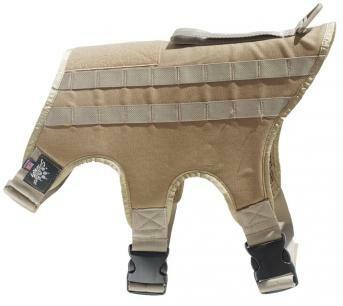 With this Dog Vest you are able to set up your dog's backpack for a Sunday Picnic and then change it up for a Shooting Day on the Range or ready for Bug Out. Just remember, when setting this pack up for your dog not to overload the dog and also to keep the backpack balanced...same weight on each side. I bought this human vest, for Deron, along with the several pouches and some additional pouches at a Pawn Store. We got a great deal on the items, far less than you could buy them for On Line, new or used. A few things we really like about this type of Dog Backpack is how securely, (tightly) the pouches are to the vest, not allowing movement on the dogs back as it is carrying the load. It also allows for pouch changes per trip. You may need several for an overnight trip, but only a couple or a few for a day trip. 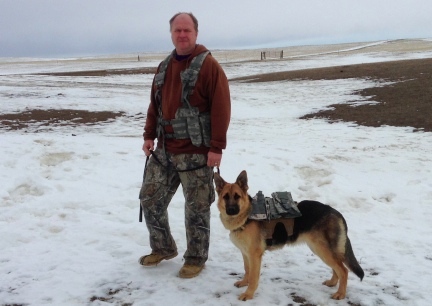 We have since bought more of these Dog Vests and more of the MOLLE Bags for the sides of them. The vests come in several colors. The contents of this page for Tactical is still under construction. Please check back often.